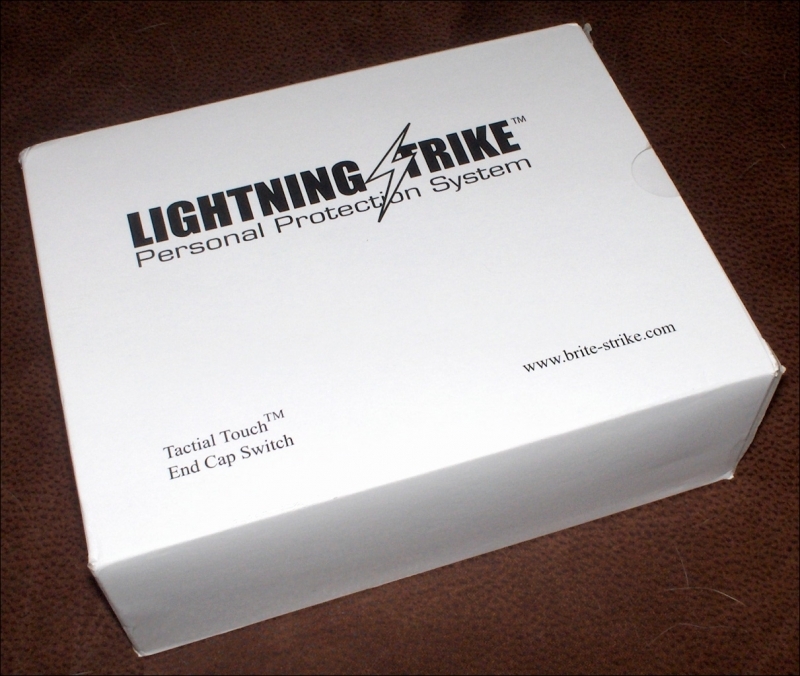 The Lightning Strike system is a package sold by Brite-Strke for personal defense, and their target market for this is females. But, you might ask, why do you want a flashlight for personal defense? The short answer is, more than you might think – consider that the majority of attacks occur at night, or at least in the dark, a good flashlight, used properly, can buy you precious moments to escape or fight back. According to Steve Tarani, a respected self-defense instructor and author, “You’d better have something else up your sleeve to back it up after he squints, turns his head and re-focuses his attack.” Still, a good light is a great place to start, and useful to boot. 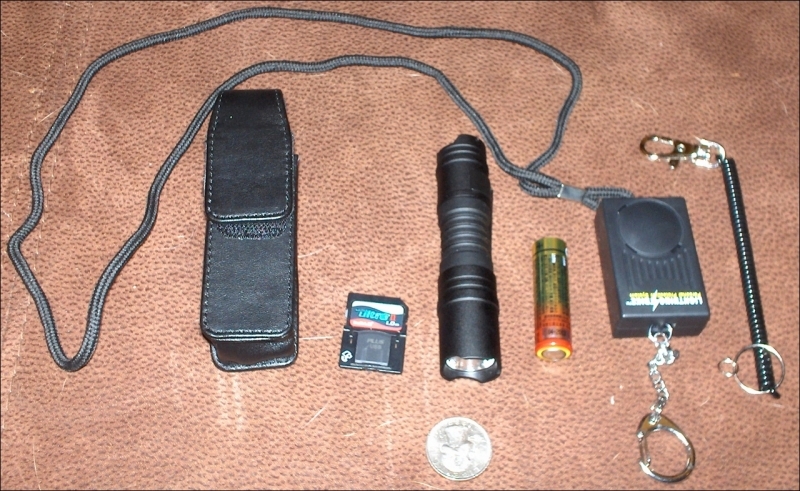 With that in mind, I’m going to consider it as a self-defense tool, and as a general purpose pocket light for EDC (every-day carry – read as, not something you leave at home). The main purpose of this light it not to be a tac-light in the traditional sense. Rather, it is designed with the intent to stop an attacker without having to use force. 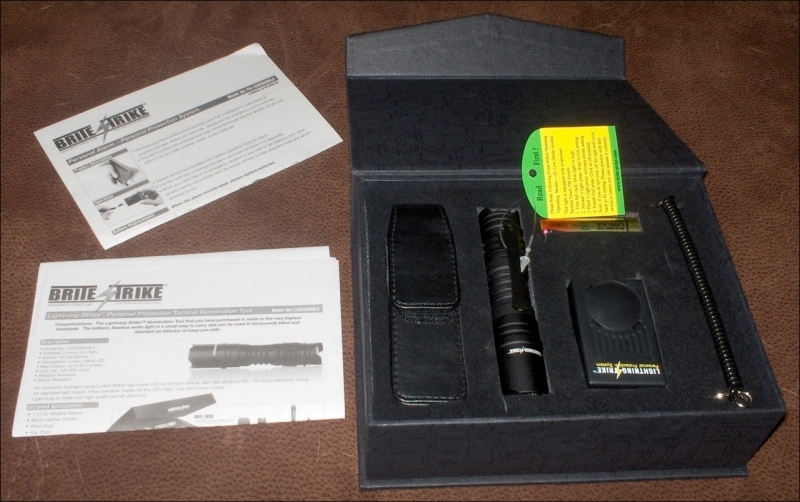 Where a traditional tac-light would be a reactive tool to enable or enhance the use of force given by a law enforcement official, the Lightning strike is designed to be proactive, empowering the civilian to stop the assault before it ever occurs. Bright strike has done many things inthe past to help stop assaults on women, and this is the most recent. Brite-Strike has also announced their First Annual Rally for the Stop Assaults On Women foundation, held on April 26, 2009 in Kingston, Massachusetts. 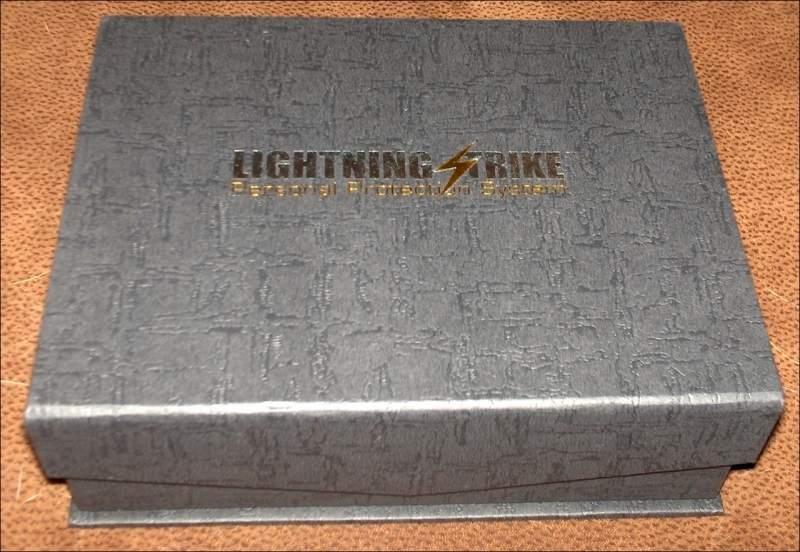 Brite Strike packages the Lightning Strike system in a fairly classy embossed gift box that would be appreciated by any girl heading off to college. Everything is tucked inside a velvet-covered foam cutout, which holds the items in place and serves to protect them during shipping. The package also includes a few carry options for the light, and a small high-dB panic alarm, though this is not much to write home about. Similar things have been on the market for a while now; this only differs in its size and convenience. … concealing a very nice presentation box. Inside the box, we find the holster, the light (with SD card and quarter for scale), one AA battery, the alarm, and a springy lanyard.